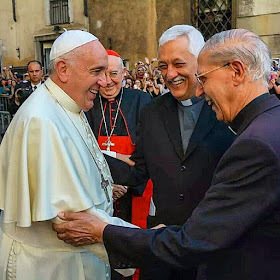 Jesus Christ, Our Shepherd: Heresiarch Arturo Sosa: Introduces Female Deacons - Abolishes the Devil- supported civil pseudo-gay marriages, gay priests and gay pseudo-identity. Heresiarch Arturo Sosa: Introduces Female Deacons - Abolishes the Devil- supported civil pseudo-gay marriages, gay priests and gay pseudo-identity. 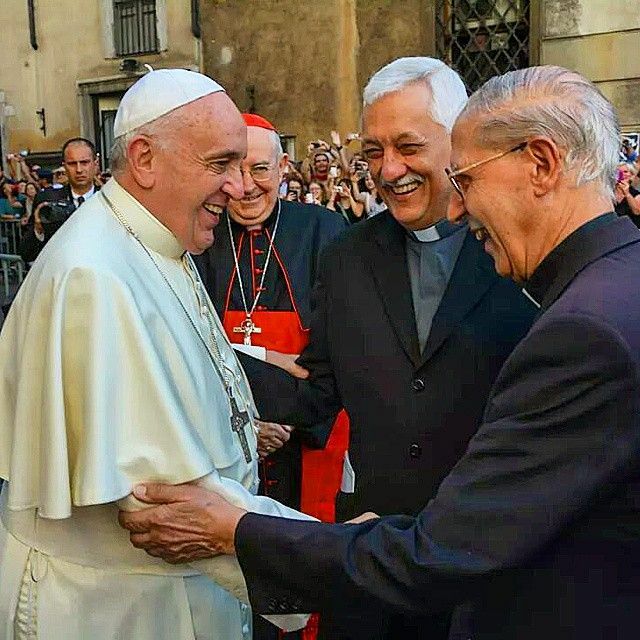 In an interview with the Spanish El Mundo, the liberal Superior General of the Jesuits, Fr Arturo Sosa, declared that Pope Francis "has already opened the door of the diaconate" for women by creating a commission. He adds, "After that, more doors could open." Speaking about evil, Sosa says at end of the interview, "We have made symbolic figures, like the devil, to express evil." The only 'chief' of the Pope. Q. What about gay marriage? A. One thing is public and official thinking and another what happens in communities. One thing is homosexuality and another is my homosexual partner, the one who is part of my family, my environment. In religious life there are homosexuals and they are not persecuted, they are part of the community. The sacrament [of marriage] is another issue, it is one thing to recognize the civil status so that there is no discrimination and another theological aspect. The sacraments are not born like this (clicks on the fingers). Fr. Arturo Sosa Abascal, a Venezuelan Communist and Modernist, is carrying out Francis’s agenda.